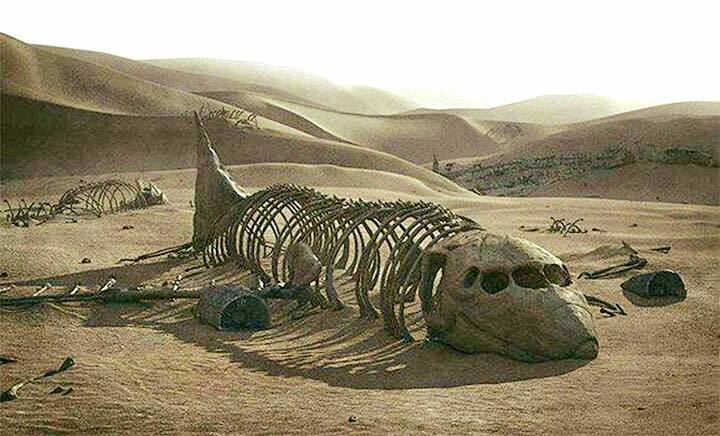 The remnants of an abandoned 1970’s airplane stretched out in the Desert of “Memories of bygone days“. The type has long gone extinct. Except for a couple of air frames that survive in Museums as static displays, you will never see them back in the Skies. This tale of desolation counts for many aircraft of the 1940’s, 1950’s, 1960’s and 1970’s. Yet, a few types of the 1940’s have escaped this fate. Their Day of Doom has been delayed for a couple of magic reasons. 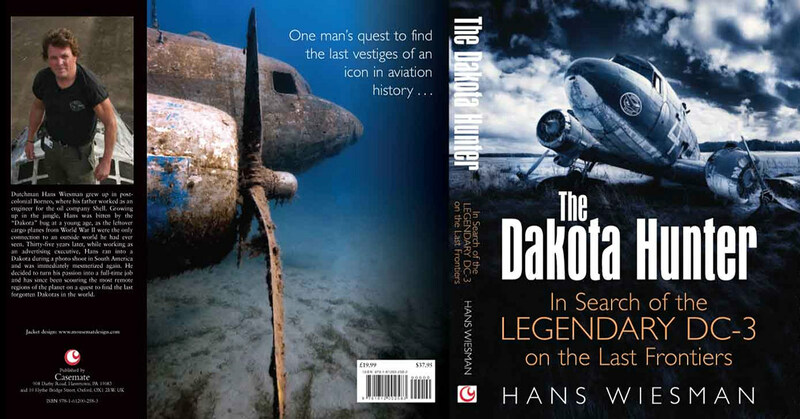 Come visit the Jurassic Park of Aviation with me in this Dakota Hunter Blog. Photo depicts a B-24 in the boneyard at Kingman, Arizona, in its final hours of existence. Huge numbers of surplus aircraft arrived for the final chopping and recycling of the much-wanted aluminum. This site had a vast desert full of surplus bombers of all types, that were stripped from engines, oils, and electronics. Finally, the cutter showed up in order to scrap the ripped airframe back to smaller pieces that were to be dumped into the smelting ovens. 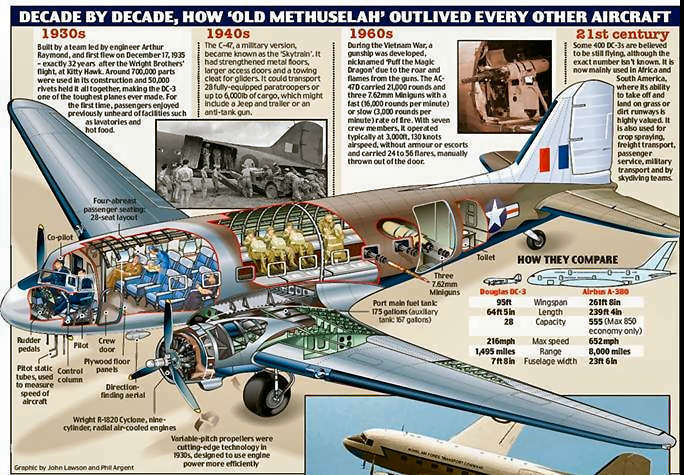 During WWII, an unparalleled number of aircraft had been built for the US Military in a time span of 4-5 years only. Allegedly, over 100.000 planes of all types were constructed in a large number of plants, scattered all over Continental USA. Not only the classic Aircraft Manufacturers as Curtiss, Douglas, Lockheed, Boeing, North American, Consolidated Vultee (later Convair), Martin etc. were involved in this historical largest ever mass production of aircraft, but also the Automotive Industry soon was engaged in this National War Effort. Ford was assembling the B-24 Liberator Bomber, and GM and Studebaker all had their role in the assembly of aircraft and the engines needed for such gigantic fleet. Contrary to Popular Belief, the US most built aircraft in all its variations and models was not a Fighter, but a Bomber. And the winner was …. yes, you bet, the Consolidated B-24 Liberator. With nearly 19.000 units (8.000 produced by Ford) it holds the record of being the most produced American Military Aircraft. 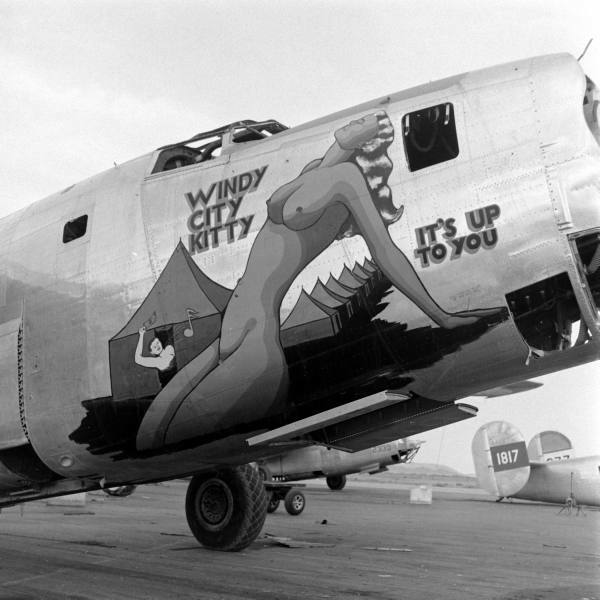 But by the end of the war, this B-24 Liberator had been surpassed in state-of-the-art technology by more modern types such as the Boeing B-29 Superfortress. With dire consequences. A fleet consisting of tens of thousands Flying Legends as the B-17 Flying Fortress, B-24 Liberator, B-25 Mitchell etc. that won the War for America and its Allies went down the drain as the “Price for Peace” Those Bombers were obsolete due to their lack of payload, range, speed and with their non-compressed fuselages unable to cope with the latest strategic demands in a newly emerging Cold War Theater. The aircraft production between 1940-1945 was the highest ever in such short time span, the rate of deliberate surplus aircraft destruction between 1945-1950 went parallel with that record. Photo above depicts a C-47/ DC-3 that went down near Canaima, Venezuela, close to the Table Mountain from where the `Angel Falls` come down. This aircraft was visited by me in the year 2000 . It had made an emergency landing in this flat Sabana after one engine quit. With that, the crew was unable to maintain their altitude while they probably tried to make a landing on the nearby Canaima airstrip. Allegedly, the aircraft was overloaded with mining equipment. Others say it was more probably a Drugs Transport, but both options were illegal cargo, always prone for overcharging the aircraft. Later , the Left-Hand engine and all instruments, props etc were dismantled and taken out by helicopter. Those were valuable parts for the Rutaca and Servivensa fleets of 10 to 12 DC-3´s that were shuttling tourists from the Isla de Margarita to the Angel Falls/ Canaima National Park, in Southern Venezuela. In contrast to the Bomber fleet, it was the Cargo Plane of WWII fame that survived the Post War Aluminium Melt Down Frenzy. The World craved for air transport and all Cargo planes that came available from the US Military Surplus shelves had for that reason a high worldwide value, by far exceeding its scrap value. That simple fact initiated the first post-war survival of the C-46 Curtiss Commando, the Douglas C-47/ DC-3/ Dakota, the Douglas C-54/ DC-4 Skymaster and a few other types. From scratch, their interior layouts had been designed for Passenger (or Paratrooper) Transport, making the conversion from Military to Civil Version relatively easy. The Bomber designs, on the other hand, were often handicapped with mid-wing configurations that protruded the fuselage, making the passenger transport awkward, uncomfortable and far from cost efficient due to the relatively low number of seats/ pax available. 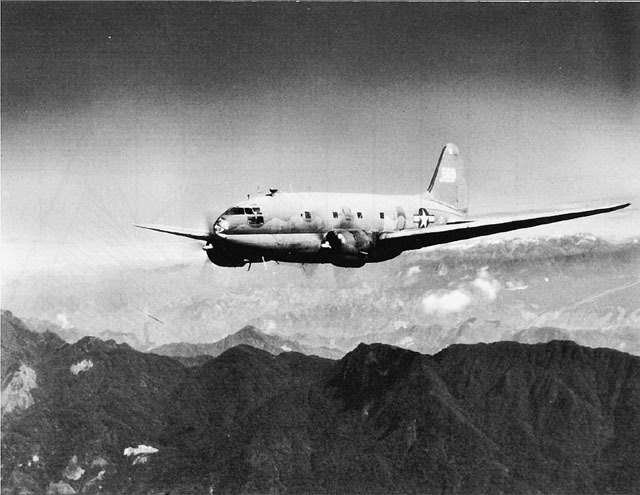 With this record production number, it is clear that this aircraft-type DC-3/ Dakota/ C-47 came out as the overall Longevity Winner of wartime produced aircraft. The aircraft boasts an exceptional survival rate: even with its production suspended now 70 years ago, there are still some 900 units of the Dakotas, DC-3’s. C-47’s. Li-2 (Russian Version) left in this world, be it in operational/ flying condition or static/ crashed/ abandoned aircraft, scattered all over the world. 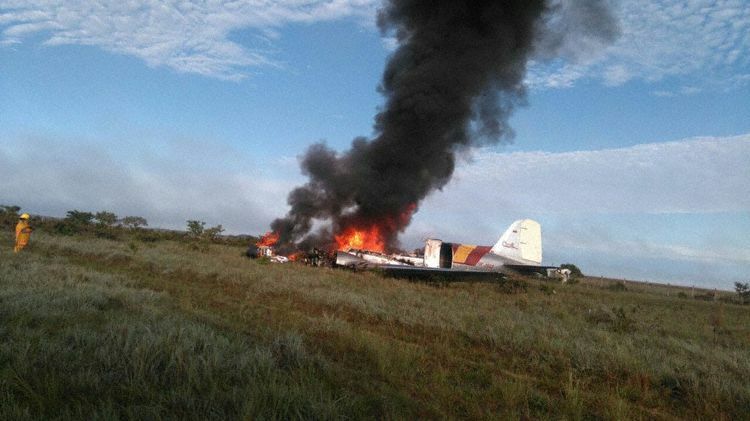 Photo above depicts the crash of the DC-3 YV-224C operated by Rutaca, from Ciudad Bolivar, Venezuela. Rutaca had a very sound reputation with its fleet of old Dakotas that served the Tourist Flight Market from Isla Margarita to Canaima National Park. 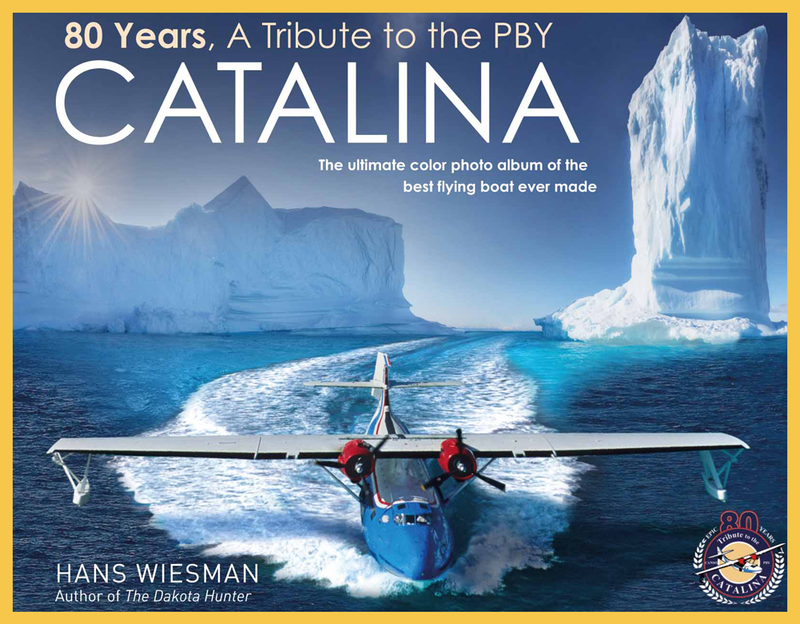 I hired this aircraft for a week as a Motorhome and Photo model for a Clothing Brand campaign, that still runs that theme successfully until today. Two months later, this aircraft had a fatal crash that cost all 24 passengers their lives, including tourists from USA, Holland and Italy. In order to safeguard the overseas tourist influx, the Aviation Authority of Venezuela had no other choice than to stall all Dakota operations in Venezuela overnight. Ten DC-3’s were grounded, never to fly again over Venezuela, but that could not stop the fall of International Tourism to Venezuela. That is a very sad development, as the Canaima National Park and its Angel Falls are an exceptionally scenic jungle site, as I have rarely seen, and so comfortably from the seat of a low and slow flying DC-3 that orbited the Table Mountain. A magic place, as a real life Jungle Book, as you can read in my book The Dakota Hunter. Photo above (courtesy Julie le Bolzer, also published in my book The Dakota Hunter) reflects a good reasoning for the second stage of the “Magic Survival of the Gooney Bird”. Right after WWII, there was an urgent need for passenger transport worldwide, the DC-3 filled the surge with instant availability in great numbers. But soon bigger, faster and longer range became the requirement for Transcontinental Passenger Transport. In the 1960-70’s the appearance of the Turbo/ Jet aircraft relegated the role of the Dakota back to more primitive conditions and sites where only basic facilities are available. The DC-3 was designed in an era that many airfields still had grass or gravel strips: only “Big Wheels” are the outfit that can handle such strips, with a low approach speed and tail dragger configuration being a much better match coping with the moguls/ bumps hidden in the field. It is here and a few other places in this world (Alaska, Canada, Caribbean, Opa Locka/ Florida, Honduras etc.) from where this legendary DC-3 is still doing operational flights on a commercial (or Military) base, i.e. making revenues for the owner. You need a lot of fantasy to imagine any transport in the world that at 70 years of age can still do that! If you have a clue for a Car, a Truck, a Boat , a Train , an Aircraft that can boast such Transport career and still survive in 250 + numbers, you let me know, please! The Jurassic Park of Aviation still exists, that is a most remarkable feat. But there is also dark side on every historical life extension of a mechanical machine or transport. Those aircraft were designed and built to last for 20-30 years at best. How will that match with 70+ years of daily operations? In the 25 years that I hunt Dakota’s all over the Globe, I have seen the dark side of this endurance. In a few cases, it showed its nasty face with fatalities and strange incidents that almost always ended up with more stringent rulings, less cargo/passengers allowed and in the worst case, the total grounding of the Dakota flight (see the Venezuelan accident with YV-224C. All details of that sad accident and others are written in my book). In contrast, I have spent quite some time and made many enjoyable flights in Colombia with the “DC-Tres”. The incident rate was exceptionally low, especially when considering the very harsh and primitive conditions in which the Dakota flies when operating in the remote Amazon Jungle airfields. Only recently, on 7 April 2016, there was a crash reported of a DC-3, fortunately with no fatalities! (Read the accident report below, under the photo). There was another accident a year ago, but that was due to pilot error, in bad weather & poor visibility, whereby the aircraft hit a hillside. That had nothing to do with mechanical failures of the aircraft or its engines. I have often wondered how long this odd safety record of the Colombian DC-3 scene could ever last. I spoke to many local experts, the pilots, the operators, and the local workshop management, responsible for the overhaul of the vintage radial engines. According to them, the aircraft could survive for at least another decade! Remarkably, while everyone sees a thriving commercial future with the opening of the Amazon after the end of the hostilities with Guerillas/ Drugs traders from FARC, no one foresees any substitute yet for the DC-3. They simply don’t make or design any aircraft type anymore like this one, a taildragger with big balloon tires that can carry 3 tons of payload. The critical “weak spot” seems to be not so much in the airframe but in the engines, the radial piston engines Pratt & Whitney R-1830’s. While most reliable so far, all its spare parts are made well over half a century ago: is there a certain “Fatigue of Time” existing that makes metal spares having a date of expiration, no longer fit for safe “consumption”? Nonsense, the engine overhaul can be done over and over again, according to what others say, as long as there are spare parts on the shelf. Fact is that with every accident, this discussion will flare up again. Different opinions over this safety issue of the longevity of the engines have brought serious limitations in Europe, where the Dutch Dakota Association (DDA) can fly their DC-3 with only 12 passengers max. In other European countries, there are less stringent limitations applied, with 18-24 passengers. In Colombia, 3 tons of mixed Cargo & Pax is the norm, and that makes a huge difference in the Money Making Business model of this aircraft. Here, they have no seats, they scatter passengers in between and over the Cargo. No complaints about low comfort ever heard out here, you fly as it comes, even with Livestock/ Chicken next to you. If you don’t like this, take a boat that can bring you to your destination in 5 days, where the Dakota Flight takes only 5 hours! Graphic courtesy John Lewson/Phil Argent. I foresee another long career for the C-47 airframe in this weird world of the Green Hell. That long future might have a lot to do with a arrival of a new kid on the block! Old School aircraft DC-3 with High Tech Turbo Prop engines! Wow, the first BT-67 (Basler Turbo Prop Conversion of the DC-3) has been introduced in the Villavicencio DC-Tres scene, and quite sure, more will follow as they have the future for another 20-25 years out there in Amazonia. The Jurassic Park of Aviation will be kept open for the public, may I invite you to come with me for a closer look? 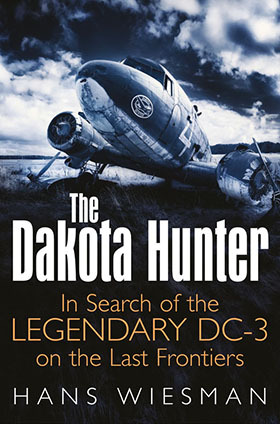 My book The Dakota Hunter gives you a detailed insight of what I encountered and experienced in the World of Vintage Aviation during my 20 + expeditions overt the Globe, in search of the Legendary DC-3 on the last Frontiers.